English Studio LIVE is well and truly underway and … we have already been to our first live gig. 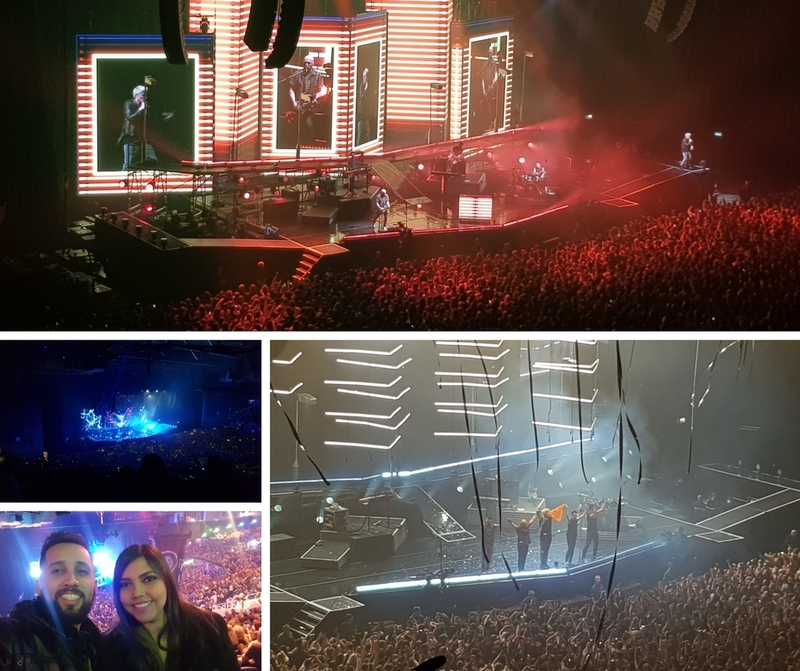 We were super excited about sending our Dublin school student, Aline Freire dos Reis, to see extremely talented, headliners The Script alongside support act, Ella Eyre at the 3Arena in Dublin, last week. Her teacher Jamie Hermann described her as “one of the most exceptional people he has ever taught”. She is determined and successful in her studies and is great friend to all her fellow students. In recognition of these achievements, we were proud to announce Aline as our first English Studio LIVE winner for English Studio Dublin. Anyway, enough from us … let Aline share with you details about her big night! “I had an amazing night at 3Arena watching The Script band, these guys are really good. The concert began at 9 pm after the initial performance of the singer Ella Eyre. I went with my boyfriend Lucas who is also a student at The English Studio. The Script is an Irish band, so the guys were very comfortable singing again at home and all the people seemed to love them, they walked in the middle of the audience and that was really cool. It was a unique experience and I thank The English Studio for giving me this. Once again, let us congratulate Aline on her big win and academic achievements and we wish you all the best in your future studies and experiences. Head over to our English Studio LIVE page and find out how YOU could be in with the chance of winning TWO tickets to see Paloma Faith next month.